Manufactured of galvanized steel and powder coated as a primer. All welded construction eliminates rattle. 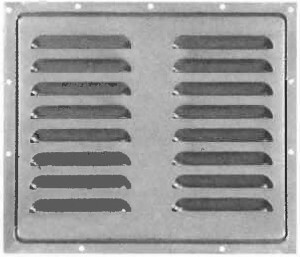 Supplied with a unique waterproof baffle plate and drain ports in the corners to allow water to escape. Complete unit includes outside vent body with a 7-1/4″ dia. 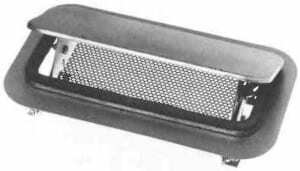 zinc plated steel inside grille and gasket. Can be mounted on roof or front of trailers. Recommended for use on busses, emergency vehicles, horse trailers, truck bodies, tractor cabs and trailer vans. 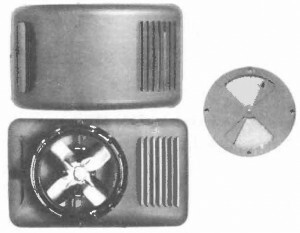 Ventilator comes complete with dimensional drawing grille and gasket. Manufactured of galvanized steel and powder coated as a primer. All welded construction eliminates rattle. Supplied with a unique waterproof baffle plate and drain ports in the corners to allow water to escape. Complete unit includes outside vent body with a 7-1/4″ dia. zinc plated steel inside grille and gasket. Can be mounted on roof or front of trailers. Recommended for use on busses, emergency vehicles, horse trailers, truck bodies, tractor cabs and trailer vans. 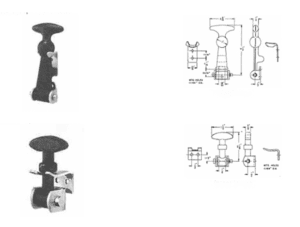 Manufactured of galvanized steel and powder coated as a primer. All welded construction eliminates rattle. Supplied with a unique waterproof baffle plate and drain ports in the corners to allow water to escape. 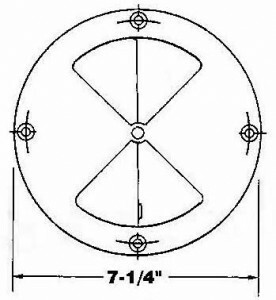 Complete unit includes outside vent body with a 7-1/4″ dia. 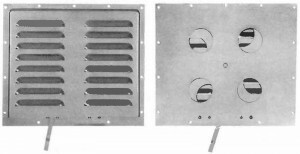 zinc plated steel inside grille and gasket. Can be mounted on roof or front of trailers. Recommended for use on buses, emergency vehicles, horse trailers, truck bodies, tractor cabs and trailer vans. 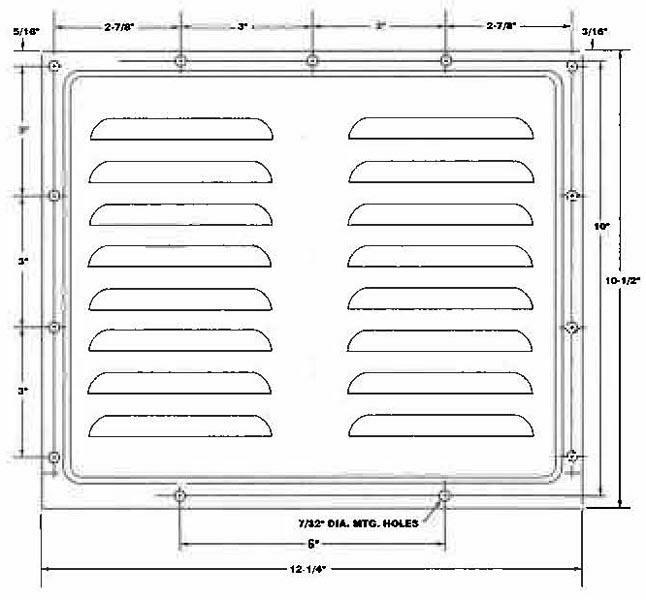 Powered vent has all steel housing Includes inside grille with screen. 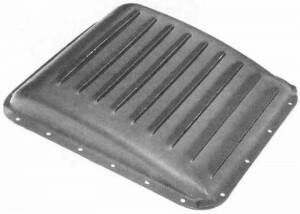 15″ long x 9″ wide x 3-U/l6″ high. Inside grille with screen 8″ dia. Back has four 2″ diameter holes to allow flow of air. Weight – 1 1/2 lbs. 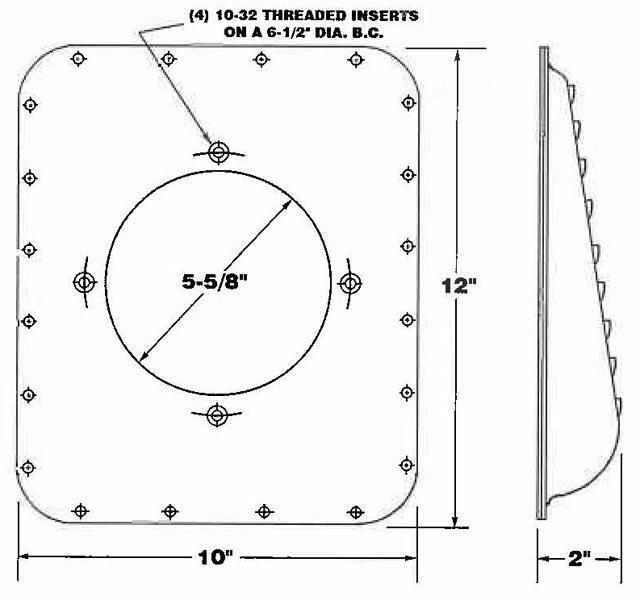 0.032 Ga. 12-1/4″ wide x 10-1/2″ high. 7/32″ Dia. 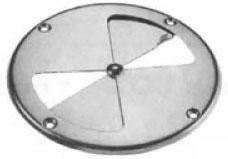 mounting holes Weight-1/2 lb. 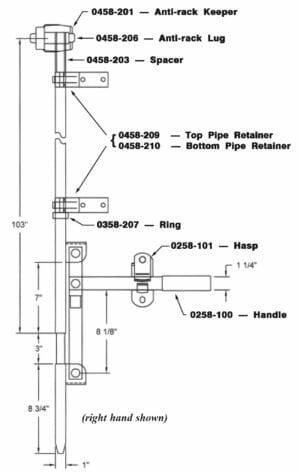 Flush Entry Locks for Trailers with liftgates.